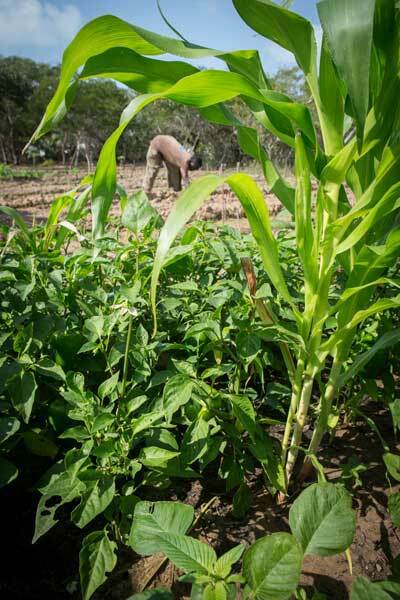 It all started as a small project to help his family with much needed food during the dry season since he lives very close to one of the inland lakes he had the water for a vegetable garden. 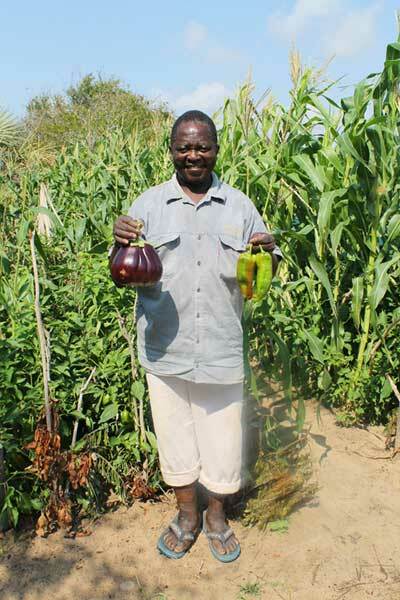 He started by growing the normal vegetables needed by the family, cabbages, tomatoes, onions and maize. By the 2nd year the garden was made a bit bigger and thus started producing a bit more and he ended up with a few extra vegetables which he started sending out with his wife to sell on the streets of Vilanculos town and at the Local market. He would help his wife with the selling and it was during these market days that he met some people from lodges in town and they started making some orders of fresh vegetables from him. 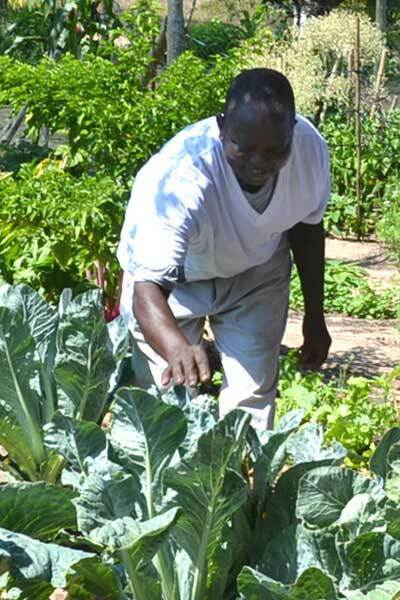 His garden started producing more of a variety to meet his customers’ demands and they started ordering herbs and vegetables that he was not growing. He could not get some of the seeds locally and he had to ask some of his customers to buy some seeds for him whenever they travelled to different provinces.. His vegetable garden quickly turned into a proper garden with butternut, lettuce, pepper, herbs, cucumber, carrots and a variety of other vegetables. Customers are now going to his garden to buy and they don’t have to go to town to sell the vegetables anymore. People are even coming from neighbouring villages to buy vegetables with him and this makes him very proud. Share Felicbertos story, choose your platform.